In our past post, we discussed ASME A17.1-2016 – Safety Code for Elevators and Escalators, a standard that has been in effect for almost 100 years. While a near-century is a long time, it only occupies part of the period in which elevators have been integral to our world, and only a mere fraction of the complete history of elevators. 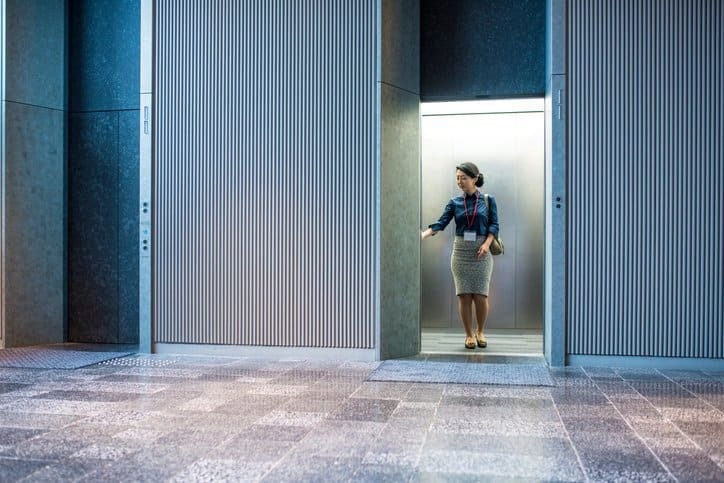 Elevators are arguably one of the most important inventions in human history, and their power-driven vertical movements have long been integral in making building stories accessible and practical for construction. The elevator draws its origins in Ancient Greece, where the already-established system of pulleys was adapted into the first lift. It is strongly believed that Archimedes invented the first elevator back in 236 B.C., and his model functioned with hoisting ropes wound around a drum. These ropes were connected to a capstan, which was operated by direct human labor. This elevator became standardized significantly throughout the region, and it would have been found in many different locations in Ancient Greece. Ancient Rome also made use of the ingenuity that came from elevator use, and the equipment was common for moving animals and goods. In fact, they were an important part of the Colosseum. In the ancient grand amphitheater, lions, wolves, leopards, and bears would rise out of seemingly hidden holes in the ground to take part in gladiator battles. 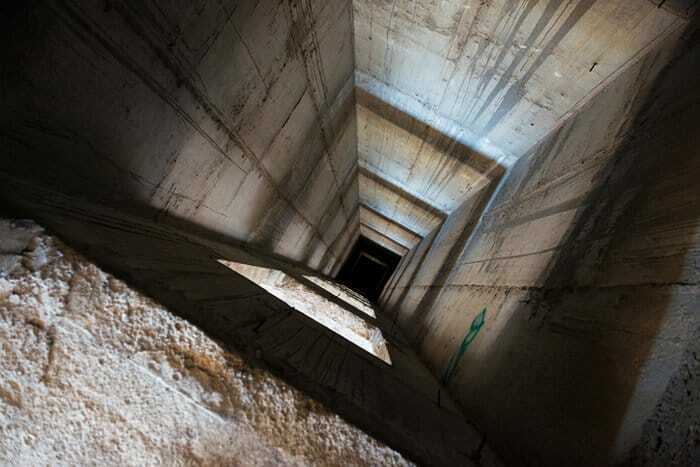 Today, we know that this was conducted by a lift system that led up into trap doors. 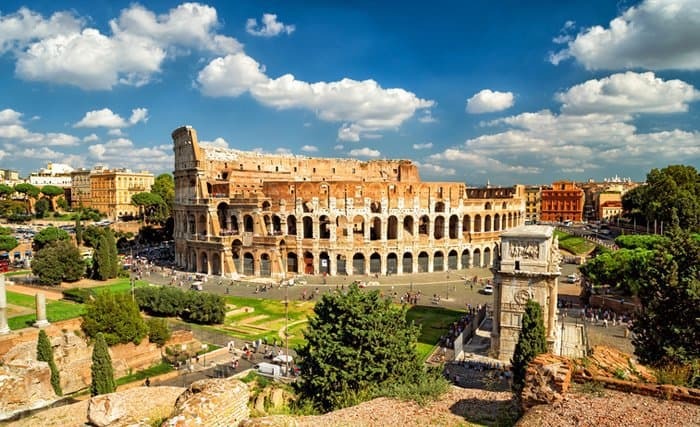 In the Colosseum, there were somewhere between 28 and 30 lifts, and the animals traveled up 23-feet tall wooden shafts before making their appearance. Each lift was designed to transport 600 pounds at once – roughly the weight of two lions – through the use of manpower, much like the Greek elevators. However, to carry such weight, the capstans required eight men to push and pull. This means if all lifts operated at once, there would be 200 workers operating the machines. These two examples are that of early lifts, but they differ greatly from what we know today as passenger elevators. The earliest of these didn’t appear until 1743, and it was located outside the king’s palace in Versailles. This elevator was designed for King Louis XV and connected the first and second floors of the building. “The Flying Chair”, as it was called, linked the king’s quarters to those of his mistress. Men stationed inside a chimney operated the Flying Chair, and they used ropes and pulleys to raise and lower the elevator. Elevators, just like many other advances in technology, became far more common in the mid-1800s during the Industrial Revolution. Many of these elevators were based off the hydraulic system, in which a piston inside a cylinder used pressure from water or oil to raise or lower the elevator car. The main drawback with these lifts was that the buildings containing them needed to have pits below the elevator shaft so that the pistons could draw completely back. The higher the building was, the deeper the pit had to be, making this lift type highly impractical. An alternative model to this used a cable system, in which ropes raised and lower the car by means of a pulley and gear system. A counterweight helped to conserve energy. This design is much closer to what we use today. In the mid-Nineteenth Century, both of these types of elevators were powered by pressure or steam. However, the elevators operating on cable systems were rarely favored during this time, simply because their use posed incredible risk (this was long before the publication of ASME A17.1). With no safeguards, if the cables broke, the car would drop to the ground. For freight, this was a major nuisance and could be responsible for property damage. For human passengers, the thought that a single minor error in the cable system would most likely result in death made the design remarkably undesirable. At the 1854 New York World’s Fair, Elisha Otis and his sons revealed an innovation to the elevator cable system that made them far more practical. This was a safety device, and it included a wooden frame at the top of the platform that would snap out against the sides of the elevator shaft if the ropes broke, essentially functioning as a brake. Otis’ elevator company, the Otis Brothers, installed the first public elevator in a five-story New York department store in 1874. The advent of electricity in the late Nineteenth Century brought on an age in which more power was accessible to drive elevator cars. In 1887, an electric elevator, using the style pioneered by Werner von Siemens, was developed in Baltimore, using a revolving drum to wind the hoisting rope. Unfortunately, these drums were not large enough to store the long hoisting ropes required by skyscrapers and other large structures. However, the rapid advancement of motor technology brought on the gearless traction electric elevator by the early 1900s, allowing for taller buildings. Multi-speed motors soon replaced the original single-speed models, and push-button controls modernized the elevator even further. Aside from these, elevators have undergone many different changes in the century since the initial publication of ASME A17.1. Today, from the technology of the computer age, elevators are able to function with extreme efficiency and safety. So far, we’ve looked at important developments in the elevator’s history, but this doesn’t fully demonstrate the significance of the invention in our society. Some of the benefits of elevators are obvious: allowing for the construction of skyscrapers and high-rise buildings, granting greater accessibility (especially for the disabled), etc. The influence of these few direct benefits are truly from where the invention of the elevator draws its significance in the Modern Age. 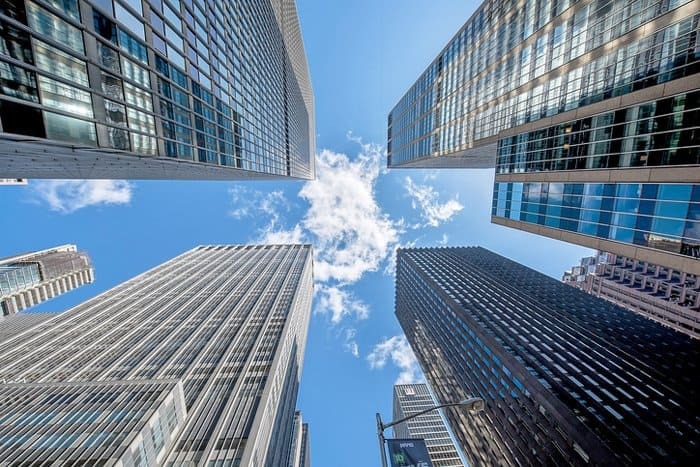 While tall buildings traditionally served as status symbols in the past, seemingly demonstrating their greatness simply from their existence, they were also a practical way for providing more space in a fixed amount of land. In the early days of their construction, this was essential. In places like New York, taller buildings gave factory owners and workers space that was both more humane and more efficient, allowing industries to expand. This growth has continued until today, and it was only ever possible with the presence of elevators. All the people and business that have been packed into the Earth’s metropolises owe a major part of their lifestyles to this invention. These places remain the most economically powerful in the world. In this way, the elevator was one of the key players in shaping our society. In the present and future, with urbanization on the rise, the elevator’s importance only continues. Today, about half of the human population lives in cities. By 2050, it is estimated that the urban population will be about 5.1 billion, or two-thirds of the world population by that time. Of course, we will also likely see the incorporation of technological advancements in elevator systems to continue their safe and efficient use. what is the minimum dimensions of the elevator cab so it can accommodate a stretcher for the state of Texas.what is this dimension for the cab? I want to search about brake system in elavator. can you introduce a number of book. Does anyone know what were the specific sounds made by elevators in use in 1872 in England?